In the decade before World War I, a wave of democratic revolutions swept the globe, consuming more than a quarter of the world's population. Revolution transformed Russia, Iran, the Ottoman Empire, Portugal, Mexico, and China. In each case, a pro- democracy movement unseated a long-standing autocracy with startling speed. The nascent democratic regime held elections, convened parliament, and allowed freedom of the press and freedom of association. But the new governments failed in many instances to uphold the rights and freedoms that they proclaimed. Coups d'etat soon undermined the democratic experiments. How do we account for these unexpected democracies, and for their rapid extinction? In Democracy Denied, Charles Kurzman proposes that the collective agent most directly responsible for democratization was the emerging class of modern intellectuals, a group that had gained a global identity and a near-messianic sense of mission following the Dreyfus Affair of 1898. 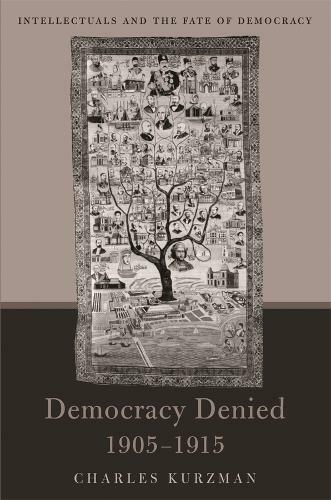 Each chapter of Democracy Denied focuses on a single angle of this story, covering all six cases by examining newspaper accounts, memoirs, and government reports. This thoroughly interdisciplinary treatment of the early-twentieth-century upheavals promises to reshape debates about the social origins of democracy, the causes of democratic collapse, the political roles of intellectuals, and the international flow of ideas.